Examine key legal and ethical concepts related to message and bodywork including professional roles and boundaries in the health field. Learn essential tips for medical record keeping and professional liability insurance. Why do we have medical records? The material was presented in a simple, easy to read format. I feel like I''m walking away knowing more than if I had to sit in a lecture for 6 hours. I was very impressed with this course. It was very in depth. I really enjoy taking courses that actually teaches you something. Very thorough and explanatory. All areas covered. This course definitely gives a clear and concise understanding of Legal and Ethical concepts and how they apply to the Massage Profession. I liked the layout of the material it made it easy to follow. This course was a very good overview of the legal and ethical issues faced by massage therapists. This was a great ethics course and was very interesting. I was able to not only learn new things but also refresh my memory on the old. Very easy and convenient! Great opportunity to earn CEU's without traveling. This course gave me a more detailed explanation and important reminder of what professionalism is all about and how important it is in the line of work that massage therapists do not only for our professional reputations but also the welfare of our clients. I have been practicing 12 years, have advanced studies, and feel it was informative and met my needs very well. This course was a different take on "professional ethics" and loaded with great information. Great course, for me it is more comfortable to do this at home instead of in a class room. The course gives a good detail of the information in an easy to use format and terminology. Great way of earning CE's. Very affordable and fast. Easy and well covered. The process was very easy! I kept putting off my Ethics CEUs because I was scared of an online course, but it was great! A very concise and to the point ethics course full of useful information. Absolutely touched the basis on everything needed to know for ethics and legal issues. The course if very easy to follow and written in a manner that's clear and easily understood. I found this to be a great review and very well outlined. Course is nicely written, easy to follow, yet informative. 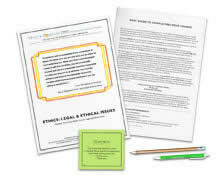 This is a good way to stay in touch with our ethical obligations in the practice of massage therapy. Thank you! This course was great! It was straightforward and easy to follow. The legal issues and ramifications were very enlightening as I am also an LPN and how those same issues also apply within my massage business. I really like the online option for an ethics course! Excellent material. Informative and detailed about the laws. Gained important understanding in the newest material. I appreciated the review of the laws and legal system as well as detailed information regarding liability insurance and what it entails. Great Course. It reminds me to watch my p's and q's and make sure all my ducks are in a row. I enjoyed it all very much!!!! I feel I understand some new thoughts of ethics that may have been questionable for me before. Thank you for your classes and giving me the tools to be a successful practitioner!!!! I found the material to be very interesting and extremely crucial to my practice as well as my personal life. I very much enjoyed this online course. It is convenient and easy to understand. Very highly recommended to other people. This course was very well presented and I did learn new information. Very professional course. It was a direct and personable approach to address some possibly stiff material. Legal and insurance issues no matter how uncomfortable to face in a society faced with ever-growing sensitivity and boundary misinterpretations, clarity is key. Thank you for the great review! This is the first time taking one of your courses. I enjoyed the ease and clarity of your course materials and the ability to review it throughout. I learned more about ethics than I did in massage school. Felt the course was well structured and informative. I really found the information in this course was great for me to enhance my understanding. I value keeping abreast of ethical criteria. It enhances and reminds us as bodyworkers to keep those boundaries and to know what to do to assist clients if we cannot. Excellent basic course on Legality and Ethics. 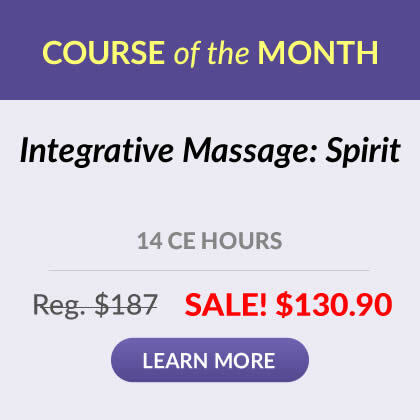 I would recommend this course for new MTs, MTs who perhaps did not have a strong ethical foundation in their schooling, or MTs who can use a wake up call specifically in boundaries and client-first focus. This course was straight and to the point with helpful information. Gave me the hours I needed. This was not just a great review but thorough look at our systems and their functions. Thank you! I was really impressed with this class, initially thinking that it would not be able to hold my interest, but the presentation was clear and interesting. I enjoyed it and value it as a great review for the future. Thank you! I felt that this course was very informative as well as very easy to understand. This course provided me a lot of information that I will use in my practice. Very well writen course. Definded a lot of insurance and legal terms I didn't understand before and gave very simple but clear examples in explaination of situations. I found the course to be very informative. I also loved that the institute offered an 6hr ethics course. I was trying to find a course to work for me and my license requirements and because of the site I was able to. Thank you. This course was especially valuable to me as a reminder of the ethical issues I have previously learned years ago. The course material was exceptionally comprehensive and can be used as reference material. Ethics: Legal and Ethical Issues course was challenging and I found myself questioning some of own ways of practicing as most of my customers are coworkers and friends. The course was very informative. I must say that I had to read a few pages twice to understand the new terms and unfamiliar information to understand its meaning. Thank you! Program is very user friendly. The online course was very clear and concise, easy to understand, and was very informative. Taking this course was a much needed refresher for me regarding laws and legal terms. Thank you so much! Define intentional and quasi-intentional tort and recognize how they differ from negligence or strict liability. Define assault, battery, sexual assault, false imprisonment, defamation, invasion of privacy and intentional infliction of emotional distress. Recognize the defenses to intentional and quasi-intentional torts. Define and identify an example of breach of confidentiality. Identify the essential roles, rights and responsibilities that are required in order to be recognized as a professional. Define the concepts transference, countertransference, consent and boundaries and apply them to important practice situations. Identify the main reasons why independent contractors and employed healthcare professionals both need professional liability insurance. Identify the healthcare professional's obligations regarding the informed consent process. "Claims-made This type of policy covers only those injuries and claims that occur and are reported during the policy period. 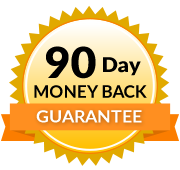 Many policies of this type provide a 60-day extension at no extra charge that takes effect when the original policy expires. The insurer will defend you if a claim is made during the extension. Tail Coverage This is a special policy that extends the original insurance coverage for a time agreed upon by the insured and the insurer. Unlike an automatic extension at no extra charge, tail coverage must be purchased. Prior-act Coverage This policy covers prior acts that go back to a specified amount of time before the current policy took effect. It must be purchased for an additional premium. A thorough report must be made that answers questions such as: what services were provided, whether the healthcare provider was employed by someone else or self-employed and details around any incident that might develop into a claim. Failure to answer such questions may result in no assisted defense by the insurance company."